Enhancing collaborations among schools, nonprofit organizations and banks is the foundation of the FDIC’s efforts to help young people learn about savings. The FDIC Youth Savings Pilot program included 21 FDIC-insured financial institutions during the 2014-15 and 2015-16 school years to identify promising approaches to combining financial education with the opportunity for students to open safe, low-cost savings accounts. Here we report on what three of the participating banks told the FDIC about their successes during and after the pilot. We start with First Bank of Highland Park (FBHP), a community bank in Highland Park, Illinois. During the 2016-2017 school year, FBHP is piloting a new Individual Development Account (IDA) program for high school seniors that includes a financial education component. (IDAs are matched savings accounts that enable low-income families to save money for a financial goal such as buying a home, paying for post-secondary education, or starting or expanding a small business.) The eligible high school students apply to participate in the IDA program, complete the IDA agreement, set up a savings account and make monthly deposits. 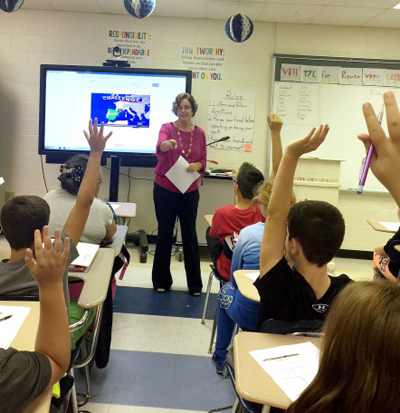 The students also attend two financial education classes focused on saving and budgeting taught by bankers using the Money Smart curriculum. The bank also provides the students with monthly newsletters containing tips for saving and budgeting for college. And, the bank matches each student’s savings up to $500 at the end of the program, with all funds going toward college expenses. 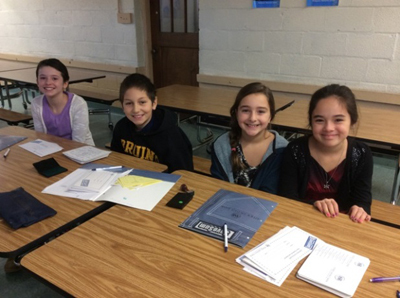 FBHP staff provided a financial education to approximately 200 students every school year through the new IDA program and Junior Banking Ambassador classes. Denise Bryant, director of marketing at First Bank of Highland Park, shared with Money Smart News that one of their keys to success is being flexible when teaching financial education in schools, as some teachers may make opportunities available with limited advance notice. Having the materials needed for a classroom session ready to go can be helpful. Also, she suggests confirming how much time you will have to speak as it can vary considerably. Bryant also recommended identifying an individual, such as the principal, who can serve as the financial education “champion” and help the banker make connections with the teachers and other faculty. The “champion” may also be able to help identify opportunities to incorporate Money Smart into STEM (Science, Technology, Engineering and Math) lessons. Athol Savings Bank, based in Athol, Massachusetts, has offered a Save$um Banking & Schools (Save$um) program in several local elementary schools for more than a decade. The students can open passbook savings accounts and make deposits during the weekly banking day in the cafeteria or other common areas of the school, with the help of student-tellers. The program is designed to educate children on the importance of saving money, being disciplined, and knowing the self-satisfaction of watching their money grow. At the beginning of each school year, the bank sends a packet home with each child describing the program and includes a teller application and parental permission slip. Students who want to volunteer as tellers complete an application and are interviewed by bank and school staff. The only requirement from the bank for student-tellers is that they have basic math ability. Each school bank is operated by six to eight student-tellers. “We continue to use student-tellers along with parents and other volunteers to help oversee the programs,” said Kim Drudi, community banking officer at Athol Savings Bank. One of the student-tellers in an elementary school, Elizabeth Adams, previously said, “In my banking experience as a teller, I loved working with my friends and bank employees, and my dad was a volunteer in the program.” She added that the first week she and her fellow student-tellers didn’t know what to do, but by the last week they were more comfortable. In addition, the Smarts Cents program provides students with hands-on experience in opening savings accounts at their school. Each school has a designated area for the deposit-taking activities, such as in the library, cafeteria or other location where there is plenty of student traffic. Teachers direct each class to the area so that students can make their deposits with a representative of Commercial Bank. The students can open the account with as little as $1, earn interest and receive statements in the mail. The Smart Cents program also has support in the community. Several businesses, including local restaurants, have partnered with Commercial to offer the students incentives for saving. For example, the bank may give a student opening a new savings account a token for a free pizza at a local restaurant. These stories show how Money Smart can be adapted to various audiences in diverse communities. The FDIC encourages financial educators to submit your success stories to moneysmartnews@fdic.gov for consideration in a future issue of our newsletter.